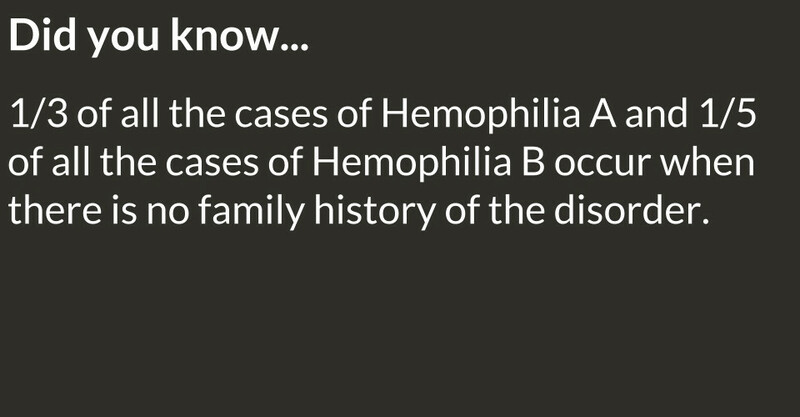 Hemophilia is a genetic condition in which there is missing or defective protein which is necessary for blood to clot. There are two main forms – hemophilia A (factor VIII deficiency) and hemophilia B (factor IX deficiency). 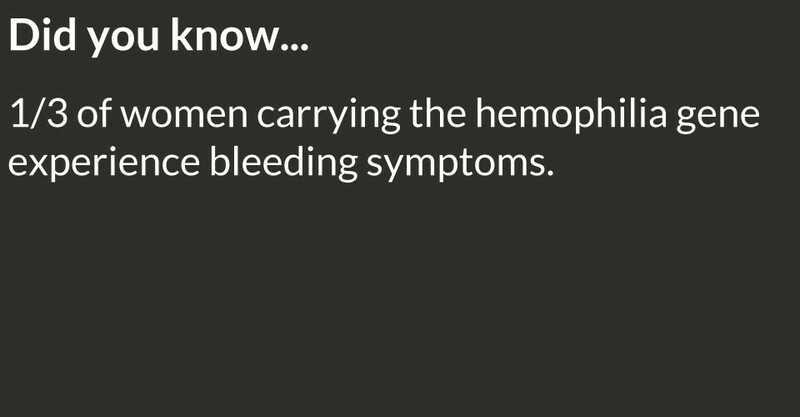 Hemophilia A occurs in 1 in 5,000 live male births while hemophilia B occurs in 1 in 10,000 live male births. That amounts to roughly 20,000 people in the U.S. Hemophilia occurs predominately in males. In about one-third of cases, the disorder results from a spontaneous genetic mutation. Bleeding from minor cuts and scrapes is usually not as big a problem. The more serious threat is bleeding into joints and tissues, which can develop spontaneously or as a result of routine medical and dental procedures, trauma and excessive physical activities. Repeated bleeding episodes often lead to long-term disabilities including chronic pain, crippling arthritis and sometimes death. 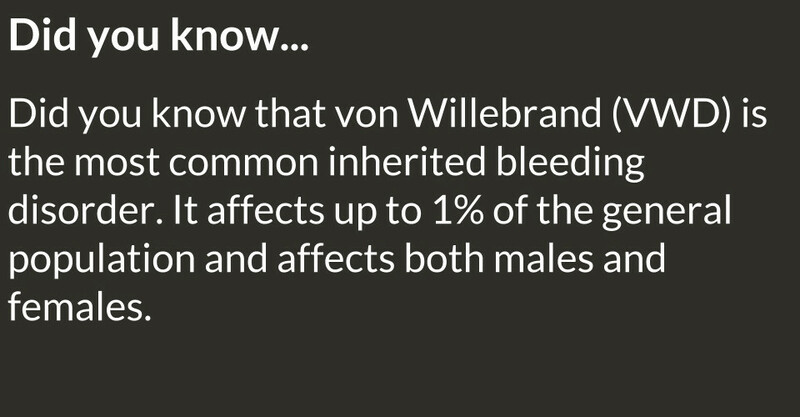 von Willebrand disease is a genetic bleeding disorder that prevents the blood from clotting normally. It is caused by a deficient or defective blood protein known as von Willebrand factor. 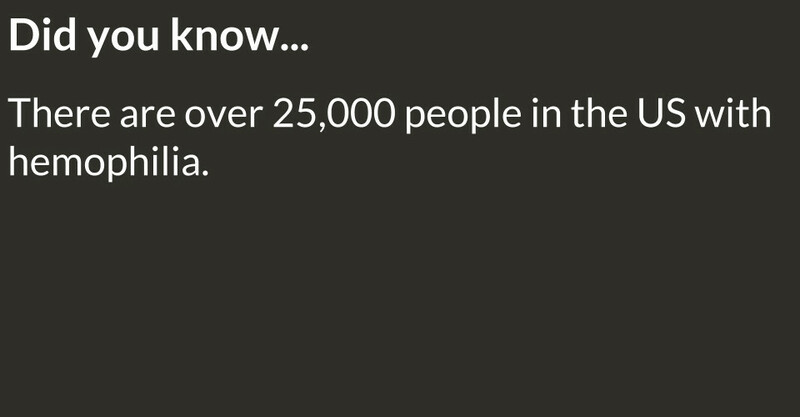 It is estimated to affect over two million people in the U.S. Of the three main types, type I (the mildest form of the disease) accounts for 70% of cases. Symptoms include frequent nosebleeds, a tendency to bruise easily, and excessive bleeding following surgery. In women, the disease may also cause heavy, prolonged bleeding during menstruation and excessive bleeding following childbirth. It is often undiagnosed or incorrectly attributed to a gynecologic condition. Treatment. The standard treatment for hemophilia and severe forms of VWD is infusions of clotting factor, made from human or non-blood sources, which helps the blood to clot. For milder forms of VWD, Stimate® or desmopressin acetate (DDAVP), a nasal spray, are often used. 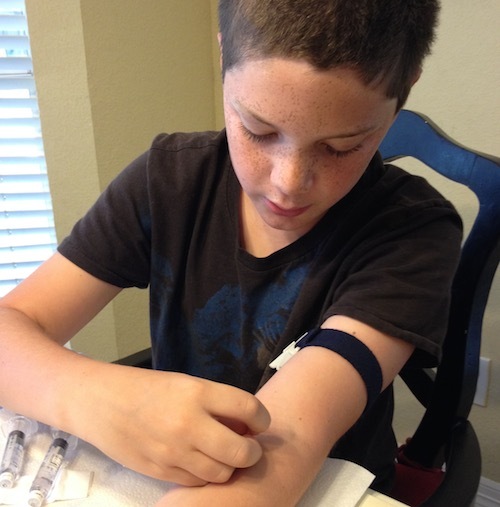 The majority of individuals are on some kind of home infusion regimen; others go to hemophilia treatment center or other hospital for treatment. Coordinated Care Centers. 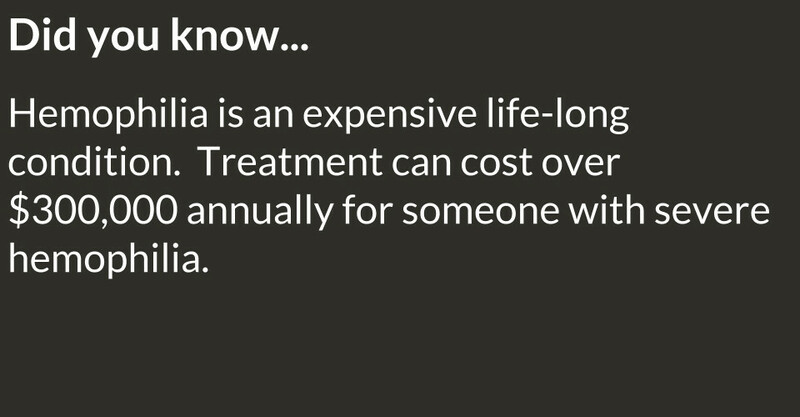 Established by Congress in 1974, hemophilia treatment centers (HTC) provide comprehensive, specialized services for individuals with bleeding disorders and their families. HTCs operate through a team of healthcare professionals that includes a hematologist, nurse, physical therapist, social worker and other medical specialists who coordinate care for individuals with bleeding disorders. Some of the services provided by HTCs include nursing, disease management, blood safety surveillance and pharmacy services for centers receiving a grant under section 501(a)(2) of the Social Security Act). There are eight (8) HTCs serving the bleeding disorders community in Texas and surrounding areas. Specialty Pharmacies. Clotting factor is a biologic medication. These products are not carried by retail pharmacies. Instead, patients obtain clotting factor products through a network of specialty pharmacies (both for-profit and 340B programs affiliated with HTCs). These entities not only supply clotting factor, they also monitor factor usage, educate patients on product safety protocols, and assist members with insurance-related issues.